The once prosperous and happy kingdom has succumbed to darkness and despair. The Heart of the Kingdom - the magic crystal that used to be the only source of light and hope - has been destroyed by the villain. The disheartened and impoverished King decides to marry his daughter to a stranger in exchange for a chest of gold. Sensing the stranger's evil, the Princess writes to Munchausen who must now stop the wedding and save the Kingdom in The Surprising Adventures of Munchausen! Download free full version game today and save the kingdom and the princess. 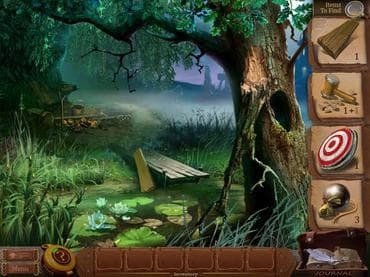 Free Game features: - Dozens of unique mini-games; - Challenging brain-teasers; - Association-based hidden object search; - Beautiful animation; - Restore the Heart of the Kingdom! If you have questions about The Surprising Adventures of Munchausen game, please contact us using this form.